As a leading veterinary name in the Staffordshire area, Donnachie & Townley Veterinary Centre prides itself in the all-encompassing services it is able to offer to its clients. We are animal lovers and this shows in the service we provide and the empathy we show to our clients and their beloved pets. We offer a varied range of services meaning you can get all you need from your vet in one place. To book your pet in for any of the services below, call us on 01889 582023. Please click on the links below to expand the content. We provide our own emergency service at the Rugeley surgery for all clients. This ensures continuity of treatment in familiar surroundings in what can potentially be a difficult and distressing situation. If you have an emergency, call us immediately on 01889 582023. Our consultations are via appointment with a veterinarian to discuss any concerns regarding the health of a pet, as well as a thorough clinical examination. Donnachie & Townley Veterinary Centre provides both primary courses and annual booster injections for dogs, cats and rabbits, granting immunity against a number of potentially fatal or debilitating diseases. Microchipping is the Implantation of a small identification microchip under the skin in order to help reunite owners with pets who stray, are lost, or are stolen. Microchips are then easily read with a scanner. It is a quick procedure and is not harmful to your pet. As of April 2016 all dogs in England and Wales must be microchipped by law. Neutering your pet is a way to prevent unwanted litters, reduced incidence of related health conditions and improvement in behavioural characteristics. Our nurses offer advice and information on treating your pets against both external and internal parasites, such as fleas and worm. They will then advise you on the right product for your animal. You can easily book your consultation with a nurse on the phone or request it on our website here..
Our dental care services range from a supply of preventative measure and advice, through to removal of tartar under anaesthetic using ultra-sonic dental equipment. Donnachie & Townley Veterinary Centre also performs tooth extraction in all species should your pet require this procedure. 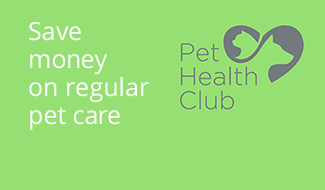 Our vets can ensure your pet has all she/he needs to be issued with a pet passport for travel. This will include microchipping and a rabies vaccination. For more information on this, ask our reception team. We are proud to offer consultations with Beverley Hawkins regarding any behavioural concerns you may have with regards to your pet. Bev is one of our senior nurses and gained an Advanced Diploma in Practical Aspect of Companion Animal Behaviour and Training in 2008. Behavioural concerns in pets can be quite varied and could affect anything from pet anxiety, excessive barking or meowing, aggression, biting habits, and much more. Our ultrasound scanners are very valuable, our team are able to use these in both emergency conditions (suspected pyometra) as well as for routine procedures such as pregnancy diagnosis. They are invaluable due to their speed of diagnosis in an emergency situation. We have digital x-ray facilities in house at our Rugeley branch and this has replaced our original use of film images. This significantly reduces the time taken to take an x-ray and therefore reduces the time your animal is under sedation or anaesthetic. It also provides a very high quality and accurate image allowing us to make an effective diagnosis with ease. 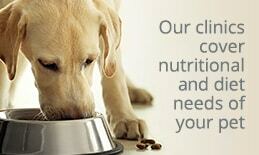 Our nurse Joanne Waldron offer Diet Clinics covering nutritional and diet needs of your pet. This can be particularly useful for hard to manage overweight animals. Jo completed a City and Guilds Nutritional Management course in 2008 and is passionate about ensuring your pet is as fit and healthy as can be. 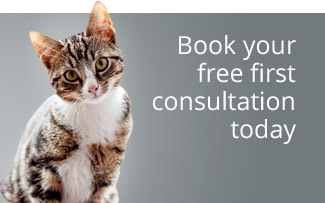 If you’d like to discuss our diet clinics, ask our reception team for additional information or to book your pet in. Although exotic care is not our specialty, Donnachie & Townley Veterinary Centre provides first aid to all exotic pets and happily perform all routine surgery on small furries as well as lump removals, enucleations, dental and wound management. We regularly investigate and treat a range of internal disease including endocrine diseases (diabetes, cushings, hyperthyroidism) gastrointestinal disease (sickness, diarrhoea) urological disease (kidney disease, bladder stones, prostate problems) liver diseases (infection, abscess, tumours) respiratory medicine (infectious coughs, airway disease) and blood disorders (anaemia, sepsis, clotting disorders). 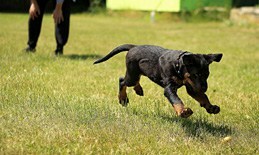 Our vets and trained and equipped to perform such treatments. In case they feel like your pet needs more specialist care, your vet will discuss this with you in details. We can perform a wide range of diagnostic tests on site on our own laboratory suite. - biochemistry - assessing function of kidney, liver and pancreas, etc. - Pre-anaesthetic blood tests – providing a blood test to assess the health of your animal before opting for an anaesthetic. This tests the health of the liver and kidneys, which are vital in eliminating drugs from the body. For any tests that cannot be performed in house, these are sent to an external laboratory by overnight courier, enabling us to get a very swift response. These tests include specialist blood tests, histology, allergy tests, antibiotic sensitivity tests, fertility tests and post mortems. Ask us for more information or book your tests here. There are many ocular conditions (eye problems) which can be treated medically if found early enough. All of our vets offer ophthalmology. Should your animal require ophthalmology surgery, Donnachie & Townley Veterinary Centre have micro-surgical equipment and magnifying lenses allowing our team to perform a range of intricate procedures including cherry eye surgery, entropion surgery, eyelid mass removals, corneal ulcer treatment and foreign body removal. Donnachie & Townley Veterinary Centre performs procedures encompassing a range of surgical techniques used under general anaesthetic, the technique used is dependent on the medical condition being treated. For more information on any of our services for small animal, get in touch with our team here or give us a call on 01889 582023.